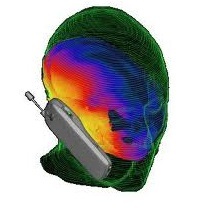 When we are using mobile phone in a very weak signal reception area, we could feel the effects of radiation from our mobile devices easily such as heat to our ear and brain area and may feel dizzy or headache after a long conversation. We will highlight this situation with some research and studies, and providing a solution to you if the long mobile phone conversation is unavoidable. It is especially frustrating or even life threatening especially user is expecting/making important call or making emergency call. Moreover, when mobile phone is used in poor signal zone, it will automatically increase its power level to search for/improve signal quality. This not only shortens battery life but also exposes the user to higher electromagnetic field (EMF) strength, which is classified by WHO as “possibly carcinogenic to humans”. Please study the article on  and  to know more about the effects of radiation from mobile phone on human health. One of the best ways to reduce the effects of radiation risk from mobile phone is to make calls where signal reception is good, which could be easily achieved by installing our mobile signal booster product in a weak mobile signal zone. It’s time to put an end to annoying communication and surfing experience, and at the same time reduce your risk caused by cell phone radiation. Go to our Product page for a solution today, once and for all!